2013 Australian of the Year Ita Buttrose has discussed misogyny, dementia, and women on television in an interview with the ABC radio’s Libbi Gorr. The former Cleo editor laughed off the suggestion that she had influenced the likes of Oprah when it came to creating a pathway for ‘controversial’ women in the media. However, she advocated for television that allowed women to be sexist and ‘politically incorrect’ – ‘for women and by women, hosted by a woman.’ When Gorr questioned why women should be allowed to be sexist, when men are not, Buttrose highlighted the fact that there is not enough television that interests women, or acknowledges that women can have controversial opinions. When questioned about misogyny in Australia, Buttrose played down the issue. She claimed that growing up with three brothers helped her ‘understand’ the male sense of humour. She suggested that ‘Aussie blokes’ occasionally speak without thinking, and don’t always understand that what they are saying is offensive, so it’s not always worth getting upset about. Buttrose joked about the increased workload she is faced with since winning Australian of the Year, but said the award allows her to promote her causes. 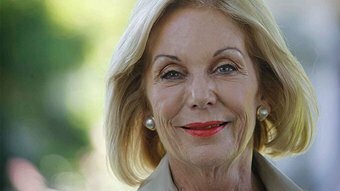 Buttrose serves as National President of Alzheimer’s Australia and Vice President Emeritus of Arthritis Australia. She asked that the public be more aware of people with dementia and to treat the elderly with respect and patience. This entry was posted in News and tagged health, in brief, media, misogyny, women. Bookmark the permalink.